Whether you like him or not, Kanye West's professional career can give entrepreneurs three important lessons. Kanye West stole the show on the recent 57th annual Grammy Awards when he stormed the stage and attempted to grab Beck’s Album of the Year trophy. It was his way of protesting against the Grammy’s decision to recognize Beck over Beyonce. In 2009, he did the same stint when he stormed the stage after Taylor Swift was handed a major award in the MTV Video Music Awards. Again, he said he thought Beyonce was more deserving of that recognition. 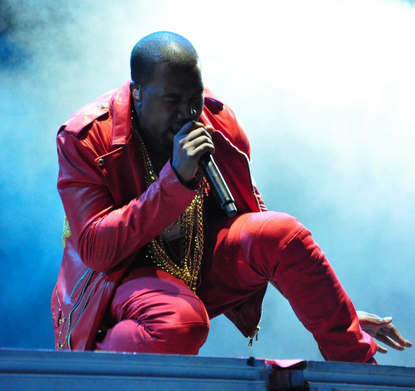 Before he braced the limelight, hip hop recording and performing artist Kanye West was an alum producer for Roc-A-Fella. One of the albums he produced was Jay Z’s 2001 album The Blueprint. Back then, while he aspired to produce his own rap release, the company had mostly used him for his production prowess until the right time came for him to carve his own name as a recording star. .
1. Getting a foot in the door. Kanye West may have been a talented producer. But he aspired to become a rapper and faced a lot of obstacles along the way. For one, he didn't fit the rapper stereotype of the time. In an era dominated by oversize basketball jerseys and baseball hats, West strolled in from the suburbs of Chicago wearing Ralph Lauren and Louis Vuitton. As he recounted on his first album, others would “look at me crazy because I didn’t have a jersey on.” Although West was producing music predominantly for Roc-A-Fella, he came close to signing with Capitol Records. But that deal fell through at the last minute. Roc-A-Fella CEO Dame Dash eventually signed West to his company's famous rap label, mostly out of fear of losing him. 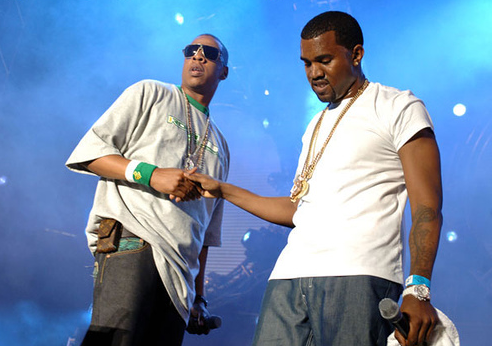 West went on to work with the likes of Scarface, Talib Kweli, Alicia Keys, Mos Def, and others in the early 2000s. Signing with a label as a producer wasn’t what he necessarily wanted. He could have said no and continued to pursue a deal as a rapper. But he chose to use the opportunity to get a start and work on making his music even better. He took the small chance of serving as an in-house producer and transformed it into the first step of realizing a successful rap career with enormous potential. 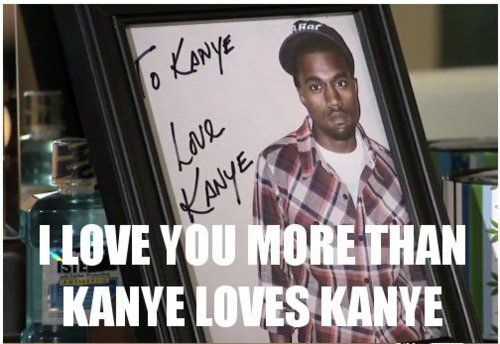 Kanye West's love for Kanye West has been well documented just about everywhere. While his perceived arrogance may have turned off some people, his self-determination and drive contributed to his success and influence in the music world. But even someone as confident or as self-assured as West knew when to ask for help. Hot on the heels of his heralded debut, West enlisted film producer Jon Brion for assistance with the 2005 production of Late Registration. Brion, best known for his musical work on the Eternal Sunshine of the Spotless Mind and on Fiona Apple’s When the Pawn, marveled that a rapper would enlist a hip-hop novice to assist. Often entrepreneurs are afraid to ask for help. But if the Louis Vuitton Don can ask for it, why not? 3. Don’t become too comfortable. Two back-to-back critically acclaimed albums put West atop the rap totem pole and it would have been easy for him to rest on his laurels, as Brion put it. But West scrapped the formula completely in his 2007 effort Graduation. He traded the soul samples (so prevalent in The College Dropout) for house music samples and electronic synthesizers giving Graduation a more robust and magnetic feel. The album debuted at #1 on The Billboard 200 with more than 400,000 copies sold in the first week. Later, at the 50th Grammy Awards in 2008, West took home three awards, including Best Rap Album. In business, it’s rare for a top dog to revolutionize or innovate on a regular basis. After all, these folks might want to lean to the conservative side now after reaching the top. But in hip-hop and especially for someone like Kanye West, it's necessary to innovate to stay relevant.